Spring and Summer are the perfect time to meet the native plants that herbalists have traditionally used for medicine. 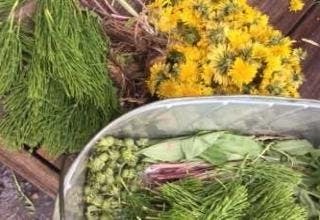 Learn which apothecary botanicals grow in the wilds of our urban parks and landscapes in this experiential class with Dawn Petter, clinical herbalist. You’ll discover how to identify, when to harvest andhow to use what we find for food and medicine. Recipes included.